I had a call from a friend this weekend who was looking for some ideas that may help his friend who is suffering from severe nausea associated with chemotherapy. 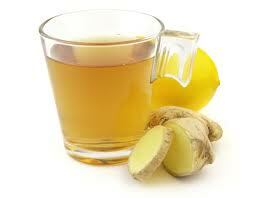 One of best things that can help with nausea is ginger. I wrote a blog post a while ago about the health benefits of ginger and included a few recipes that you can try - especially the ginger glycerite recipe. 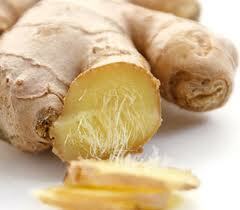 But eating ginger anyway you can may help reduce nausea, from ginger cookies, to ginger tea to tinctures to..... Try different things and see which works best. You can also get ginger capsules to take twice a day. Other herbs that might help are catnip, peppermint, chamomile and red raspberry. You can try these as teas - and why not combine a few. I often add a few different flavored tea bags to a big jug of cool water and get the combined benefit all at once. Try ginger, peppermint and chamomile - I bet they'd go nicely together. Use iced, cool, room temperature or warm water - not hot. Try drinking 1/3 cup of warm water with 1 tsp of apple cider vinegar and 1 tsp honey. 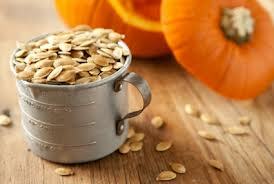 Pumpkin seeds and squash seeds help nausea. Just plain, raw seeds. Eat mainly starches like rice, crackers, dry toast, oatmeal, etc. The food should be low fat and bland. Cooking should not create lots of smells as this can make the nausea worse. Don't get too concerned about balanced nutrition at this time, the goal is to get rid of the nausea and eat something. Eat cold or room temperature foods. Hot foods create more odors which is often a big cause of nausea. It often helps to put some dry toast or crackers at your bedside at night and eat a little of this before you get out of bed in the morning. Drink plenty of fluids during the day, but not during meals. Fruit popsicles are often easily eaten and enjoyed. Don't try cooking or eating one of your favorite foods. The body may come to associate it with nausea and you'll no longer enjoy it. If you need to rest after eating, make sure you keep your head higher than you feet. It's a matter of trying different things and seeing what helps most for you. And don't forget to tell your doctor that you have been experiencing these side effects as he may have other options and ideas.